Fabrication & Installation manufacturing parts and system solutions to your specification. 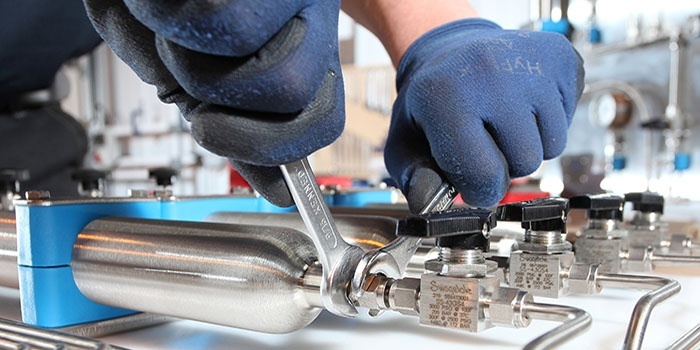 At Swagelok Bristol our complete Fabrication & Installation Services offer a number of uniquely manufactured parts and system solutions to ensure that your fluid system is using as few individual components as required whilst maintaining maximum efficiency and productivity. Our Engineering Team provides onsite assessment and consultation so that your system’s issues are identified quickly and accurately. With this information we are able to recommend and manufacture bespoke assemblies that can be installed directly into your system. This service ensures that your system is functioning to your exact specifications, maintenance costs are reduced, and the chain of supply is drastically reduced. Swagelok Bristol can provide your business with a universal fabrication solution that suits your unique needs and specifications. Our team of industry-leading engineers will provide a complete assessment of your system and the custom solutions it requires. Swagelok Bristol provides high quality assemblies at a reduced overall cost so that you can be sure that your system is functioning at peak efficiency without any unforeseen costs. All Swagelok Bristol Custom Solutions and Fabricated Assemblies are covered by our limited lifetime warranty. 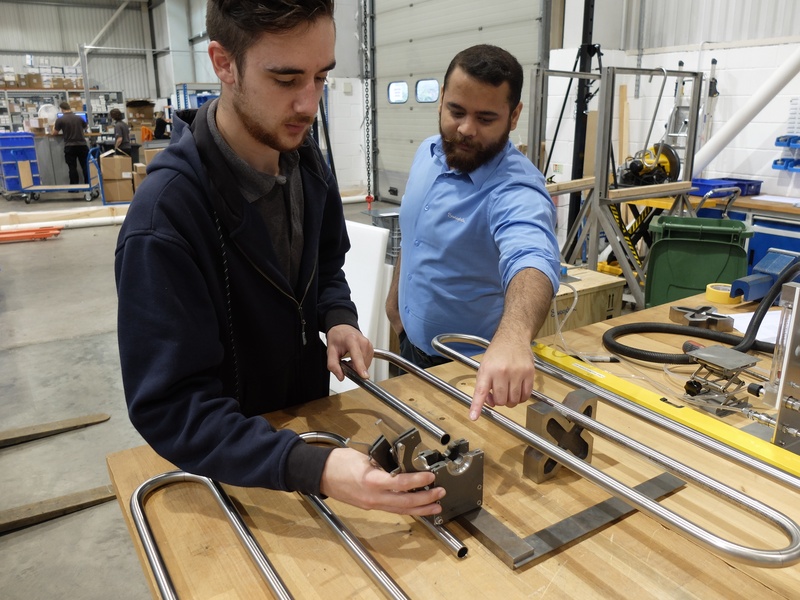 As we are surveying, fabricating, and installing our own products we are able to provide the best advice and industry-leading service for your business. At Swagelok Bristol we offer a comprehensive Fabrication Service that includes Pre-Engineered Sub System (PRESS) assemblies – pre-assembled modules that make it faster and easier to install ready-made into your fluid system. These modules can be tailored to your system’s specifications and installed right away as an entire sub-system, thereby saving your business significant time, labour, and cost. These bespoke Swagelok designs meet all industry standards and practices and utilise the highest quality components. At Swagelok Bristol our team of engineering professionals utilise their extensive industry experience and knowledge to provide you with a holistic engineering solution for your system. Our Engineering Team combines Project and Design Engineers along with Estimating Engineers to provide onsite support for a range of applications including but not limited to: fluid system design, process analyser systems, grab sampling systems, instrumentation, ultra high-purity gas handling systems, compressed gas systems and steam systems. Swagelok Bristol has the capability to deliver an industry-leading service and ensure that results are delivered on time and within budget, and that your system works consistently, reliably, and with no extra cost. Swagelok Bristol has a dedicated team of Field Engineers selected for their expertise in fluid systems. Our Field Engineers know your systems and are experienced in all fluid system applications – from high purity processes to the most demanding systems within industries such as chemical and refining processes, oil and gas, defence and power. We have the expertise to provide you with a range of services which will independently evaluate, assess and advise you about the capabilities of your fluid system against a best in class benchmark.